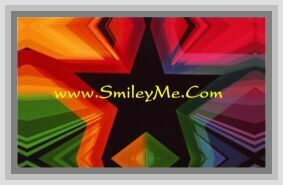 SmileyMe is a Family Owned & Operated Business Located on the East Coast of NC. Started 27 Years Ago, Our Focus has Always Been More on the Fun Educational Side of What Parents & Teachers Want. If You are Looking for Something that is Unique & Interesting, You Have Come to the Right Place. Our Philosophy...It Is Our Belief That Education is a Lifetime Experience so to Help You Get Inspired, We Offer Lots of Learning Tools in All the Important Areas of Life. Whether You are Seeking Knowlege, Need Inspiration or Just Want to be a Blessing to Someone in Your Life, We Probably Have What You Need. Our Vision...May We Empower You to Live Greater Lives, Teach Deeper Things, & Plant Positive Seeds in Everyone You Meet! Please You in Every Way!